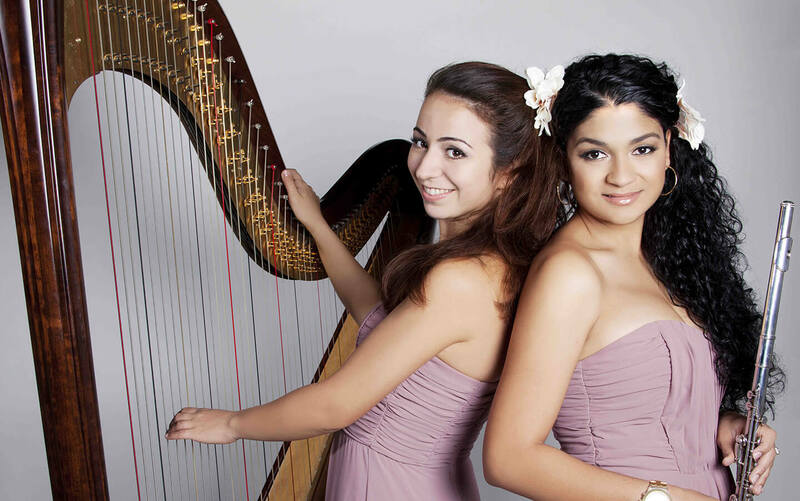 Lidia(Bulgarian harpist) and Malena(Cuban flautist) formed a band through their shared passion for Classical and Arabic music. This passion translated into their playing where the duo discovered a natural connection and Canella was formed. It wasn’t long before they started performing all over the UAE, including at corporate events and weddings; developing a broad repertoire and signature style. The Canella repertoire includes a variety of Classical and Arabic pieces. They love to experiment with sounds and instruments, performing with both acoustic and electric instruments sometimes with backing tracks for accompaniment.